John Travolta (Grease and Pulp Fiction) stars as an Italian-American kid from Brooklyn, NY, who leads an ordinary life during the week, but becomes a sensation as a dancer during the weekends at a local night club. In America, the ’70s will always be remembered as a period of incredible cultural and political changes. Among many important events that occurred during this troubled decade: Vietnam became the country’s most controversial military venture, the Watergate scandal erupted, the Supreme Court made abortion legal, and the Disco Era exploded like no other music phenomenon had done before. I grew up during this time period pretty much unaware of the social and political changes that were happening around me. I should probably say “almost” unaware, because in the ’70s you had to be living in another planet if you weren’t impacted one way or the other by the disco fever that was spreading across the nation. Nixon’s antics in the White House went over my head, but like everybody else, I was highly influenced by the disco craze. 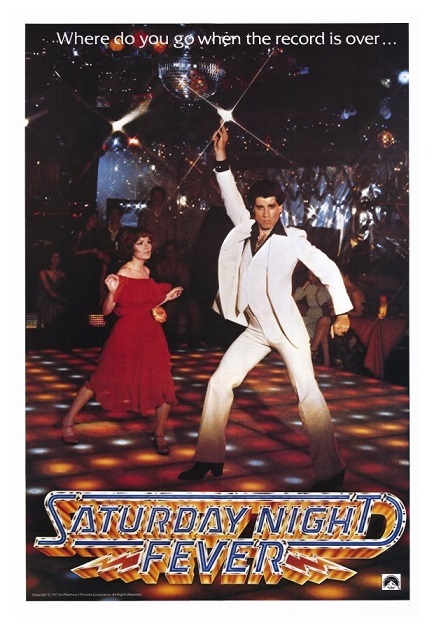 To those of you that weren’t there, I think that I could pretty much describe the disco sensation in just three words: Saturday Night Fever … Few movies could claim to have captured a cultural phenomenon in its totality as well as this film did — it’s a snapshot of America at a specific time. Yes, in the 1970s, Hollywood gave us a groundbreaking epic about the criminal underworld (The Godfather). Two trend-setting horror films (Jaws and The Exorcist) also debuted in movie theaters around the same time. We were also convinced that a man could really fly (Superman) and we had out first brush with The Force (Star Wars). 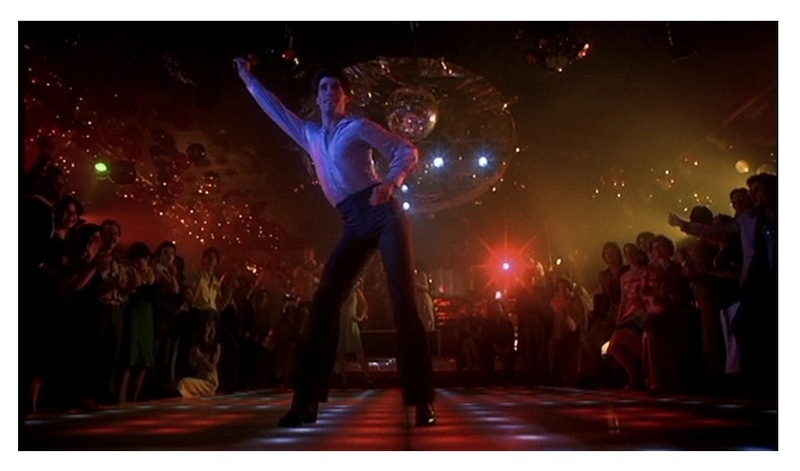 However, no other movie is more representative of what was going on in the ’70s than Saturday Night Fever. From the moment John Travolta (in a star-making performance) walks down the streets of New York during the opening scenes (while the Bee Gees’ song “Staying Alive” plays on the soundtrack), you know exactly in which decade the movie takes place. In full bell-bottom, polyester gear, Travolta pretty much summarized what was meant to be a young person in that Era. As I was watching this movie again for the first time in many years, I realized that I had forgotten how good this movie really is. Putting its legendary status aside, Saturday Night Fever, written by Norman Wexler, directed by John Badham (Smokey and the Bandit), still remains one of the best films about young people ever made. The struggle for independence, the bouts with self-esteem, and the desire to make something special out of one’s life are issues that still plague anyone on the brink of adulthood — the movie has a definite timeless quality that remains provocative and endearing. Saturday Night Fever is essentially an old-fashioned coming-of-age tale, ignited by the force of the Bee Gees’ unforgettable soundtrack and Travolta’s Oscar-nominated performance. 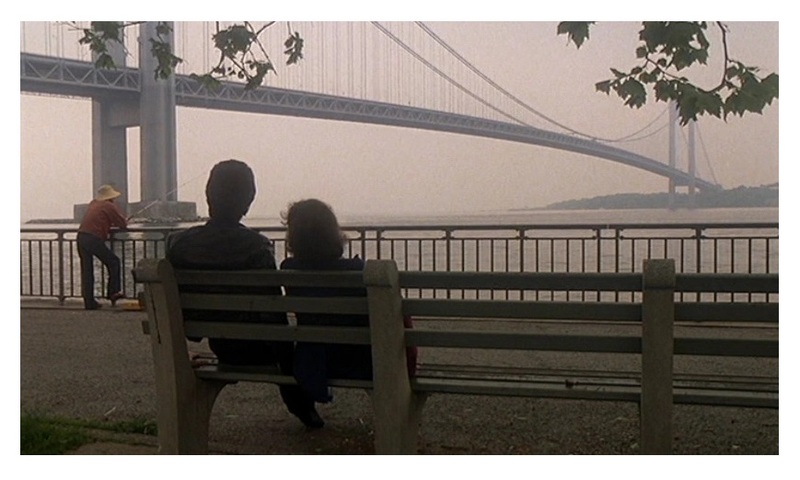 In hindsight, it’s easy to dismiss the obvious clichés of the story, however, the impact the film had on the 1977’s audiences and its current place in American pop culture is indisputable. As the main character in the movie tries to conquer the dance floor, a valid metaphor about the elusive nature of the American Dream is created. 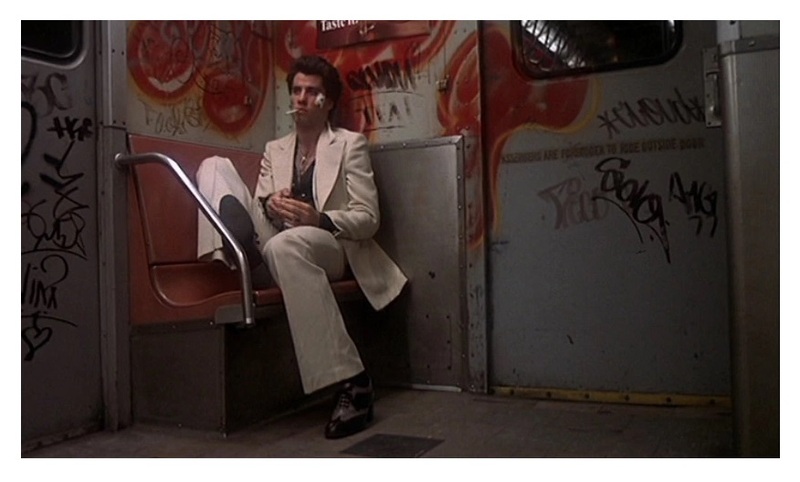 Unfairly dismissed nowadays by some as a relic of its time, Saturday Night Fever says something worth remembering about the struggle for asserting our own set of values and dreams, amid a seemingly reluctant and rigid world. The movie makes some valid points about the tricky nature of success in America, while vividly capturing a pivotal time period in the American culture. If you are 40 years old or younger, you might want to take my praise of the film with a grain of salt — it’s possible that nostalgia has clouded my objectiveness a little bit. Color, 118 minutes, Rated R.
I finally sat down and watched this a few weeks back. Wasn’t crazy about it, but I did enjoy. The music is what made it for me, though. Funny, but I believe this is the first time I watch the uncut R-rated version. For years Paramount Pictures suppressed the original theatrical version and pushed the family-friendly PG version. Thanks! Disco was/is an acquired taste for sure!